This expansive Cape Town: Garden Route & Safari trip incorporates the best of SA from scenic views in the idyllic town of Franschhoek, to big city life in Cape Town, coastal elegance in Mossel Bay and a lush tropical forest experience in Tsitsikamma, all rounded off with a luxury safari at Pumba. There is certainly no better way to explore SA! Cape Town: Garden Route & Safari. South Africa is a diverse country with plenty of sites to see. From R 70 000 for 2 Adults sharing, for the entire trip. All meals at Kapama River Lodge. 2 x Daily Safari’s in 4×4 vehicles at Kapama River Lodge. Car Rental for 7 Days from Cape Town International Airport to George Airport, including GPS and one way fee. – Toyota Corolla or similar. Domestic Flight from George Airport to OR Tambo (Johannesburg). Domestic Flight from Eastgate Airport to OR Tambo International Airport. Road transfer from OR Tambo International Airport to Kapama River Lodge. Transfer from Kapama River Lodge to Hoedspruit Airport & Domestic Flight from Hoedspruit Airport to OR Tambo International Airport (Johannesburg). Kapama Karula, with its luxury superior suites and family suites, each with a heated plunge pool and viewing deck are positioned along the Klaserie River. It also boasts a luxury spa. Reminiscent of a traditional old African safari camp, Kapama Buffalo Camp offers an authentic bush experience. The camp’s exclusive tents are positioned on elevated platforms and surrounded by forest canopy. The spectacular Kapama Southern Camp offers beautiful luxury suites. All suites are discreetly hidden in the surrounding indigenous bushveld. Family suites are also available. Kapama River Lodge and Spa, with flowing, opulently furnished public spaces and an expansive wooden deck leading to a rim-flow swimming pool. Beyond is an expanse of soft river sand, where atmospheric, lamp-lit dinners are enjoyed under the stars. Guests may choose between luxury suites, spa suites or executive suites. Situated in the heart of the Franschhoek winelands on the Fransche Hoek Wine and Olive Estate, the exclusive L’Ermitage Franschhoek Chateau and Villas offers sanctuary for the soul. With its breathtaking view of the surrounding mountains, quaint cobbled streets, vibrant piazza and indigenous fynbos, you will experience a unique and unforgettable taste of the Franschhoek country lifestyle. Situated above the Knysna Lagoon, Candlewood Lodge boasts breathtaking views, with accommodation that overlooks the renowned Knysna Heads. 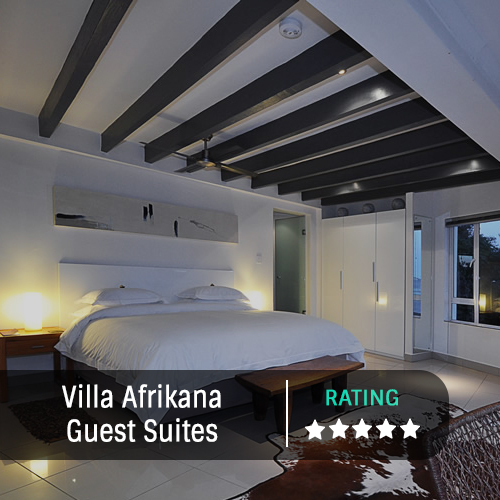 The seven luxurious en-suite guestrooms have contemporary furnishings, and most of the rooms have a private balcony or patio with spectacular views of the ocean. The guestrooms are well-equipped with all the comforts of home, including a TV, tea and coffee station, and free WiFI. Families can enjoy the lodge’s Storm suite, equipped with a kitchenette and a sleeper couch. Vegans can enjoy special breakfasts on request, and gluten-free and lactose-free breakfasts are available on request. Outdoor yoga sessions can be organized in a tranquil environment. Guests can enjoy all the thrilling activities on offer in Knysna, from boat cruises and dolphin watching, to craft and food markets. The lodge is the perfect destination for travellers exploring the Garden Route, and Plettenberg Bay is only a short 20-minute drive away. For comfortable and convenient accommodation with beautiful surroundings, escape to the Candlewood Lodge. Situated along the Kapama River, the Kapama River Lodge is the largest luxury game lodge in the Greater Kruger National Park, boasting excellent 5-star accommodation against the backdrop of the majestic Drakensberg mountains. The lodge’s 40 lavish suites have sweeping views of the spectacular game reserve, with en-suite bathrooms, air-conditioning, beverage stations and mini bars. All the suites have stunning private patios, offering guests a secluded space to enjoy rest and relaxation. The spa suites offer extra privacy and seclusion, situated within close proximity to the spa. The family rooms offer spacious bedrooms as well as triple balconies, with two additional beds suitable for families with children. The royal suites offer opulent game lodge accommodation, with a spacious bedroom, an en-suite bathroom, separate lounge and an extended balcony. The lounges at River Lodge open out onto the rim-flow pool, and the lounge has a fabulous bar that serves cocktails, which can be enjoyed poolside. Guests can enjoy a delightful dining experience, with three different dining venues. Traditional South African dishes are created with the freshest ingredients grown in River Lodge’s gardens. Guests can enjoy a wide variety of different meals, including warthog stew, kudu casserole, impala sausages and oxtail curry. Guests can enjoy fine South African wines from the lodge’s prime wine cellar, with over 600 bottles to choose from. For a safari getaway in a wilderness paradise, escape to the River Lodge at Kapama Game Reserve.